Mahim, March 8th 2018: A woman is often regarded as the pillar of the family; to commemorate this belief and in observance of International Women’s Day, SL Raheja Hospital - A Fortis Associate in association with the Rotary Club organized a two-day seminar focusing on equipping women to handle emergencies, through First Aid and CPR training. Hosted at the hospital, the two-day session also included talks to raise awareness about Gynaecological concerns, Cervical Cancer, Breast Cancer, which enriched over 300 women who attended the seminar. In the two-day workshop the session on First Aid and CPR training was hosted by Dr Amit Nabar, Consultant-Critical Care & HOD-Emergency Medicine, rest of the sessions were headed by Dr Alka Kumar, Consultant Gynecologist, Dr Prashant Nyati, Gynecological OncoSurgeon and Dr Sandip Bipte, Consultant Surgical Oncology at SL Raheja Hospital - A Fortis Associate. Day-1 of the activity was graced by guest of honour Mrs Mohini Sharma Mane, Mrs India 2016 & President of Inner Wheel Club of Bombay Bayview & Dr Shanti Radhakrishanan, Medical Superintendent at the hospital. Day-2 was graced by the presence of guests of honour veteran Marathi actresses, Varsha Usgaonkar and Nisha Parulekar. 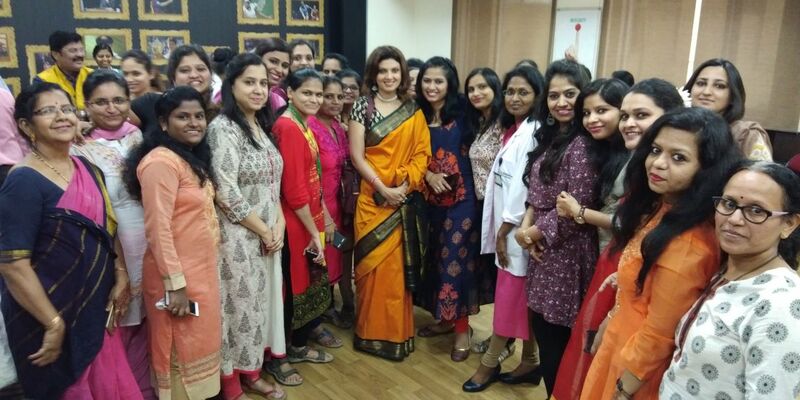 Speaking about the initiative, actress Varsha Usgaonkar, said, “It was an honor to be part of this initiative that enabled women to tackle situations through knowledge. The sessions were extremely informative, they will help us save lives in critical times. These sessions also brought to fore preventive steps that could be taken to avoid diseases, this way each family has a guardian, right at home! ”. Dr Bipin Chevale, Zonal Director, SL. Raheja Hospital - A Fortis Associate, added, “Awareness amongst women about their own health issues must always be addressed, acknowledging this today was our objective. This was a progressive step towards empowering the backbone of every household, women. we look forward to organizing many more activities for the benefit of the community”.